Rustic Ceiling Pendant Light, Shades Included. British Made. 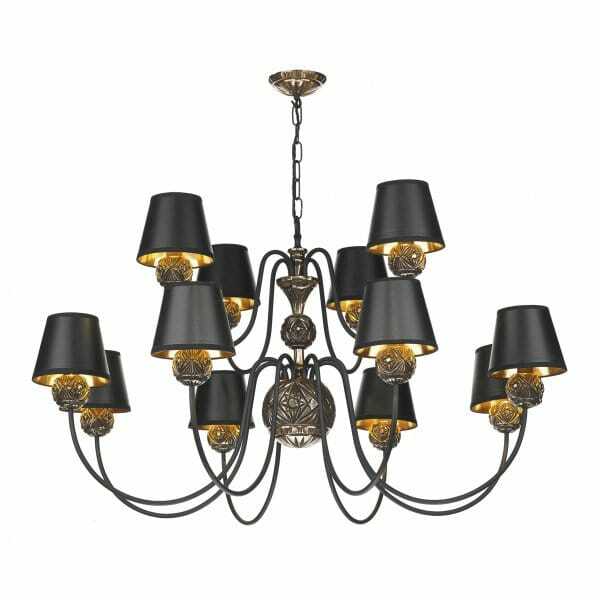 This traditionally styled ceiling pendant light comes in a faceted bronze and black finish completed with 12 black outer and gold inner shades. This light would be ideal in traditional settings, given that it can have a drop of up to 170cms it would also be well suited to rooms with high ceilings. The height is adjustable at the point of installation. It is British made, designed and manufactured in the UK.